You can count Valve’s public mistakes on the fingers of one hand, but behind each is a story of deep unrest on our fair platform. 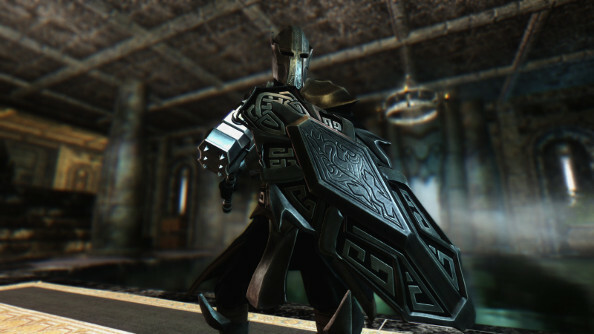 The most recent saw the studio introduce paid mods to the Skyrim Steam Workshop, with the aim of allowing the most talented modders to work full-time on their creations if they wanted to. But they inadvertently plunged a community into civil war, and pulled the experiment from Steam just a few days later. At the time, Valve admitted they “didn’t understand exactly what we were doing”. Now, they’re talking about some of the lessons they’ve learned. And how they might implement paid mods a second time with those mistakes in mind. Want to spice up vanilla for free? Here are the 100 best Skyrim mods. Speaking to Steamed’s Nathan Grayson, Valve business head Erik Johnson seemed convinced that there remained a good idea buried beneath the furore earlier this year. Of course, Valve “screwed things up in the details”. Johnson remembers the launch as one of the worst weekends he’s had working at Valve – spent picking through comments about the company’s perceived betrayal. He now thinks that Valve made a terrible mistake in picking Skyrim as their testbed, with its long-established community and complicated combo mods. In the future, it seems possible they might begin that process again with one of their own games – where, through stickers in Counter-Strike or items sets in Dota, community figures are already making money. Valve still believe that compensating users for their work is important – so it’s unlikely that paid mods are entirely in the past. How would you like to see them integrated?